It is with heavy hearts that the family of Irene Murray announce the passing of their beloved wife, mother, and grandmother Wednesday morning at dawn on May 9th, at the University of Alberta Hospital. She was lovingly surrounded in her last days by her family and her exceptional nurses. Irene was born in Drumheller and moved to Edmonton in 1948 with her family, where she attended Spruce Avenue School and Victoria Composite High School. 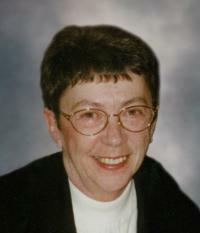 Irene was trained as a laboratory technician and managed several labs in Edmonton. Irene will be lovingly remembered by her husband of 63 years, Alec; son, Ian Murray of Edmonton and daughter, Jennifer (Curtis) Bartlett of Calgary & Toronto; grandchildren, Rachel, Andrea, Mary and Henry Murray; all of whom reside in Edmonton and step grandchildren, Sophie and William Bartlett. Irene chose to stay at home and raise her children, and was actively involved in their sporting and community activities. She had a quick wit and a wonderful sense of humour. Irene and Alec enjoyed the company of their many dear friends with whom they played bridge and travelled extensively. They loved to dance and they were avid gardeners, with Irene in a supervisory role. Irene was active with the Philanthropic Educational Organization (PEO). Tragically in 2010 while visiting Sydney Australia, Irene had an accident which resulted in a number of incapacitating strokes. With the love and support of her family, friends and long-time dedicated nurses (Lorna Tablazon, Evangeline Penaflor, Vilmarie Calattung, Angela Meding, Michelle Limoges and Suzie Klasen), for the past 8 years Irene has been able to reside in her own home with Alec and her dog Maggie. Throughout this time Irene showed her strength of character and unwavering determination. A Funeral Service will be held on Tuesday, May 15, 2018 at 1:30 p.m., at St. John the Evangelist Anglican Church, 11111 – 57 Avenue, Edmonton. The family would like to thank the Good Samaritan Society Seniors Clinic, particularly Dr. Richard Hanelt and staff, and Cori Paul for their exemplary care and compassion. In lieu of flowers, please send any donations to the Good Samaritan Foundation Seniors Clinic, or to the Heart and Stroke Foundation.